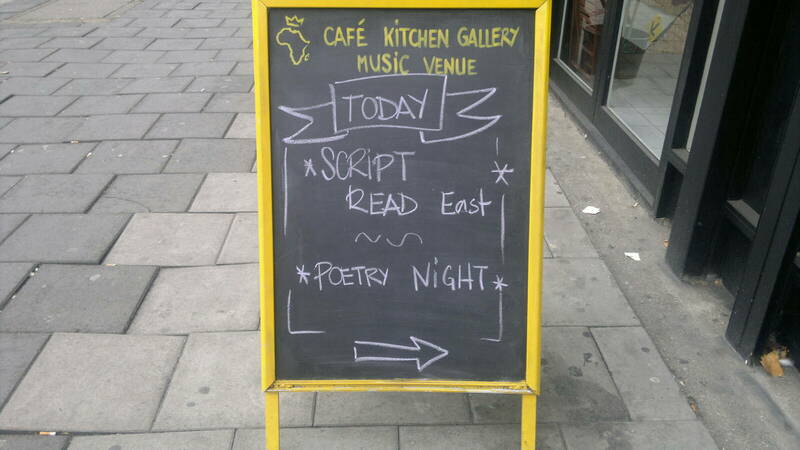 ScriptRead East is a new scriptwriter’s showcase providing an exciting opportunity for new and unknown scriptwriters to have their work read out by actors to a live audience. We welcome all genres – from comedy through to sci fi, thrillers and family dramas – and all mediums, from TV scripts to theatre to full length features. This is a brilliant chance for writers to add another dimension to their developing scripts by having them read out loud and getting audience reaction. If you are a new -ish writer and would like to submit a script for our live script reading event. The script can be a short or full length feature film, radio, tv or theatre script but needs to be in its 2nd -3rd draft stage. Please omit stage directions and we may edit the scripts selected by our panel . Please also submit with the script a short synpsis and main character breakdown and a list of all characters in the script. Looking forward to hearing from you writers …… (IMPORTANT – THE SCRIPT MUST NOT CONTAIN CAMERA DIRECTION, ONLY NARRATIVE AND DIALOGUE). Writers are expected to be available for rehearsal and live showcase .This is a brilliant chance for writers to add another dimension to their developing scripts by having them read out loud and getting audience reaction.